While the Southeast is not known as a big producer of alternative energy such as wind energy (other than along the coast and the mountains, the winds are not strong here), we do have one thing that is very valuable from an energy perspective–sunshine! Even though our humidity and cloud cover are often high, we have plenty of solar radiation that people are starting to take advantage of in producing electricity. I was surprised to read this article in Inside Climate News, which discussed how Georgia is now a top ten producer of solar radiation. 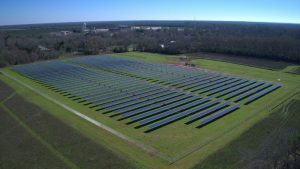 You can read it at https://insideclimatenews.org/news/14062018/georgia-solar-power-renewable-utility-scale-clean-energy-investments-2018-election. Farmers are starting to use their own solar panels to provide electricity for pumps in remote locations, and we use solar power to run our network of weather stations across the state. 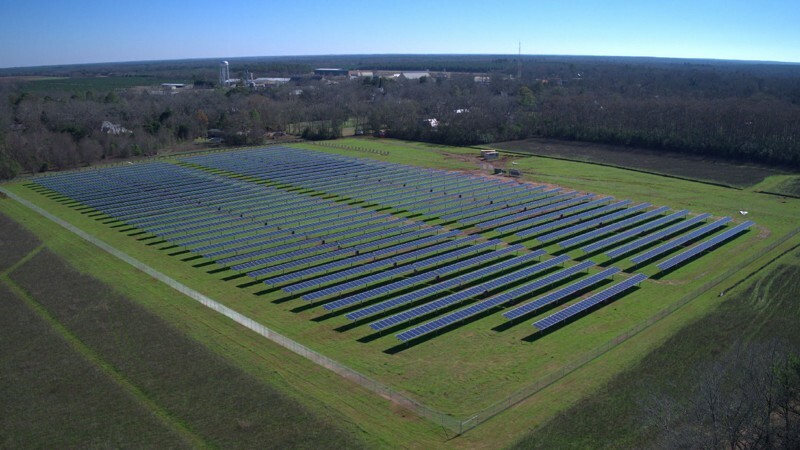 The photo below is a solar farm on land owned by former President Jimmy Carter. From peanut farmer to solar farmer . . . A view of the new solar “farm” on land owned by former President Jimmy Carter, with the city of Plains seen in the background. Nearly four decades after he turned heads by installing solar panels on the White House roof as part of his push to increase “clean” energy use in America, Carter has leased part of his property to SolAmerica. The Atlanta based company says more than 50 percent of Jimmy and Rosalynn Carter’s hometown will be solar-powered as a result. Posted in Climate and Ag in the news. Bookmark the permalink. Previous: Georgia Climate Project: How do urban landscapes affect local weather and climate?